What difference does YouthWorks make? Hear from participants themselves who are proud to tell you, #YouthWorksWorks! 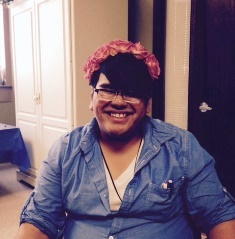 Meet some Summer 2015 YouthWorks participants and hear in their own words the impact the program had on their lives. Entering freshman year at Quinsigamond Community College where he intends to study criminal justice with an end goal of becoming a prosecutor. 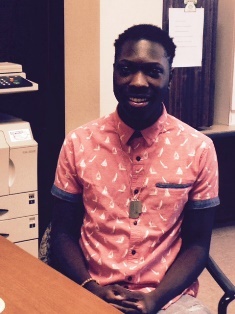 In his first summer with the YouthWorks program, he worked at the reception desk at the Family Health Center of Worcester, where he was responsible for answering more than 500 calls each day. Entering senior year at Burncoat High School. Wants to be a Kindergarten teacher one day. 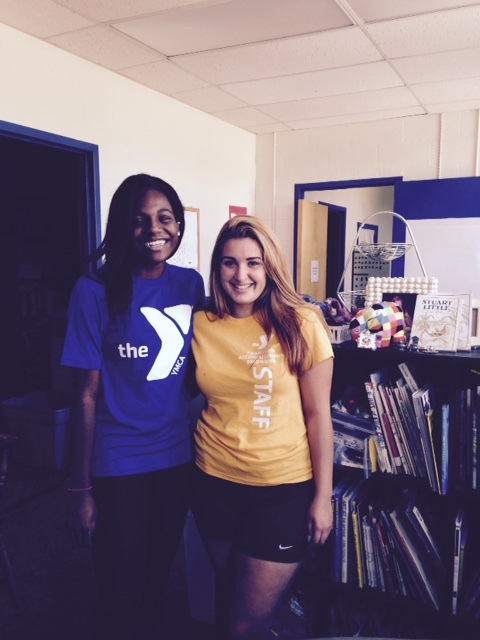 In her first summer with the YouthWorks program, she worked as camp counselor for YMCA’s summer recreation program, working with children ages 3-11. Daizy is pictured here (on the right) with fellow YouthWorks participant Aaliyah Johnson. Entering freshman year at Worcester State University. In his second year with the YouthWorks program, he worked with the recreation program for youth, ages 6-16, living at Wellington Apartments. “I learned a lot about professionalism,” he said, noting that he really enjoyed being a ‘big brother’ to many of the kids particularly during field trips to places such as Six Flags and Hampton Beach. Entering senior year at South High School. In her second year with the YouthWorks program, she worked as an assistant within the property management office of the Main South Community Development Corporation. Entering her senior year at North High School. 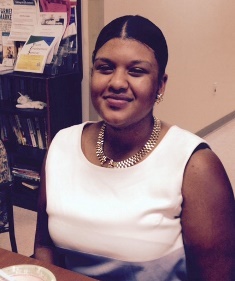 In her first summer with YouthWorks she worked at Faith Tabernacle Church of Worcester, Inc. helping to set up a preschool classroom and creating a website for kids at risk. She says she enjoyed helping take the children on field trips and get the center prepared for their various guest speakers. 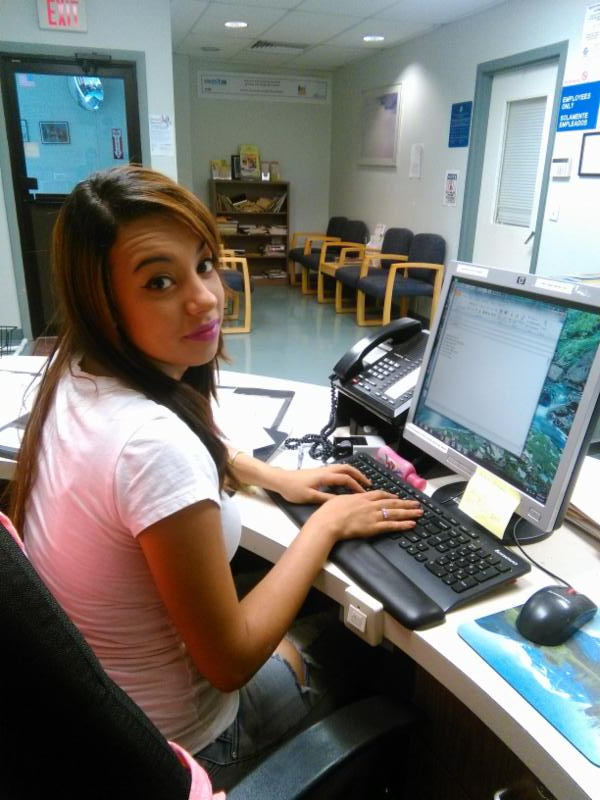 “I definitely could not have found a job without YouthWorks,” she said. Entering his junior year at Worcester Technical High School. In his first summer with YouthWorks, he worked as a youth leader for the Southeast Asian Coalition of Central Massachusetts’ summer camp. He says he was responsible for keeping the youth busy and entertained, and particularly enjoyed working on their Summer Olympics event. Entering his senior year at South High School. In his second summer with YouthWorks, he worked for the Worcester Roots Project where he enjoyed being part of their outreach group to spread the word about lead remediation. “This job helped me to enhance my communication skills,” he said. Graduate of the city’s Gerald Creamer School, will be enrolling at Quinsigamond Community College to study criminal justice. 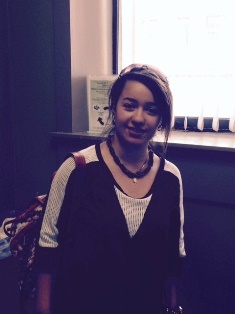 In her first summer with YouthWorks, she worked at the Worcester Public Library assisting with returns of books, audio books, cds, etc. She says she really enjoy her ‘down to earth, nice co-workers. “This job taught me a lot about working with other people, organizational skills and being responsible,” she said. Entering her senior year at South High School. 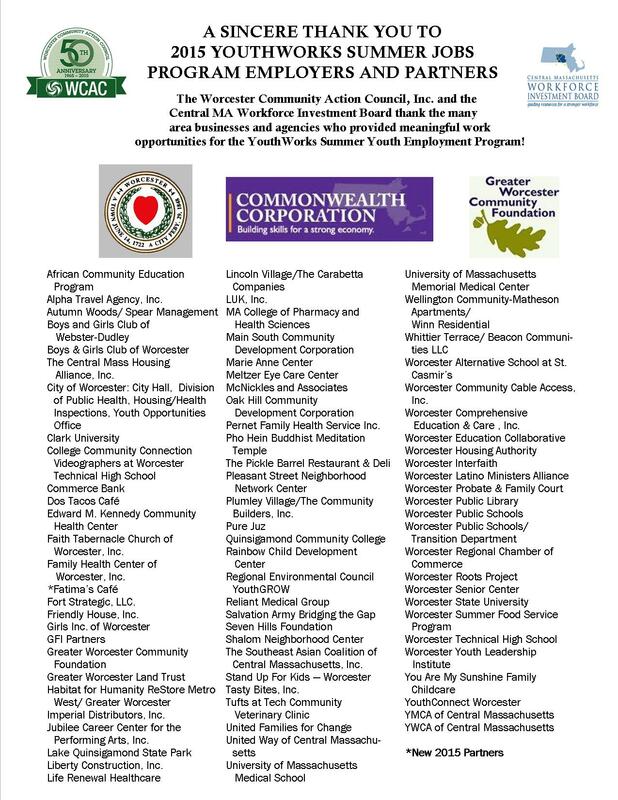 In her third summer with YouthWorks, she worked for the Worcester Roots Project where she assisted with their public relations – setting up workshops and special events. 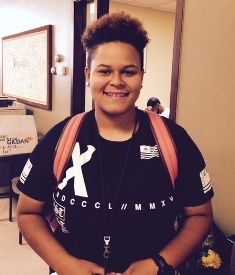 In her first summer with YouthWorks, she worked as a teacher’s assistant at Plumley Village, which she said was very nice and a good environment for the children. She said her case manager kept things very well organized and managed them well. 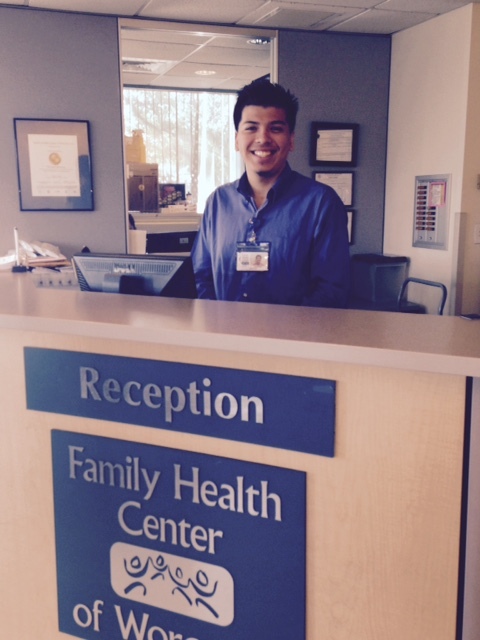 Site supervisor at Family Health Center of Worcester. “We love helping people. So we love giving these kids a meaningful work experience. They are treated like any other employee. It’s a great experience for them – they learn responsibility, being on time, they learn a lot. 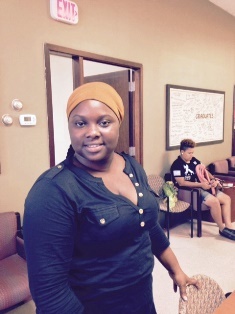 And by the end they’ve had such a great experience they are recommending the program to others,” she said, noting that three summer YouthWorks participants have subsequently been hired into permanent positions at the Family Health Care Center.